The legal process of transferring of property upon a person’s death is known as “probate.” Although probate customs and laws have changed over time, the purpose has remained much the same: people formalize their intentions as to the transfer of their property at the time of their death (typically in a will), their property is collected, certain debts are paid from the estate, and the property is distributed. 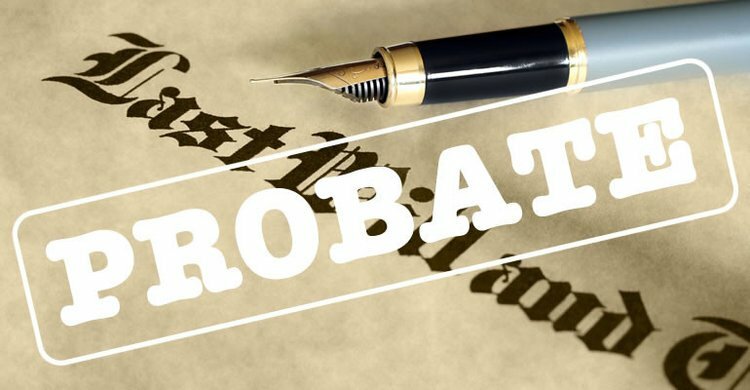 Today the probate process is a court-supervised process that is designed to sort out the transfer of a person’s property at death. Property subject to the probate process is that owned by a person at death, which does not pass to others by designation or ownership (i.e. life insurance policies and “payable on death” bank accounts). A common expression you may have heard is “probating a will.” This describes the process by which a person shows the court that the decedent (the person who died) followed all legal formalities in drafting his or her will. What is often taught about the probate process is how to avoid it. The movement to avoid probate is primarily motivated by the desire to avoid probate fees. It is, in fact, quite possible to avoid the probate process completely. There are three primary ways to avoid probate and its protections: joint ownership with the right of survivorship, gifts, and revocable trusts. The probate system, however, exists for the protection of all the parties involved and the focus of this article is what occurs in probate. Distributing or transferring the remaining property to the heirs. Usually, the decedent names a person (executor) to take over the management of his or her affairs upon death. If the decedent fails to name an executor, the court will appoint a personal representative, or administrator, to settle the estate. The administrator will fulfill many of the same duties listed above. Typically, people may leave property to any person they wish, and may make such designations in their will. However, in certain situations, depending on the relationship to the decedent and the laws of the state, the decedent’s wishes may have to be overridden by the court. For example, in most states, a spouse is entitled to a certain amount of property. Furthermore, creditors may have a claim on the property of the estate. Each jurisdiction usually prescribes how long an estate must be open to give creditors an adequate time frame in which to present claims to the estate. The more complex and sizable the estate, the longer and more time-consuming this process can be. A will is simply a formal way of setting forth your wishes regarding how you would like your property distributed upon your death. You should consider a will whether you are single, married, have minor children, or own even a small amount of personal assets or property. In fact, every adult should have a will or other means to control the disposition of their assets. If you have not formalized your intentions, your estate may meet with unnecessary and costly litigation, adding to the grief experienced by your survivors. Avoiding the financial and emotional turmoil of will contests and other legal wrangling starts with choosing an experienced estate planning attorney. Need Legal Help Understanding Probate Basics? Probate varies from state to state can be complicated to understand, especially if you’re grieving the loss of a loved one. The best way to get an understanding of probate is to contact an experienced probate and estate administration attorney near you. Cathy and the Blackburn Law Firm can help you with your probate questions or legal questions. Cathy’s firm provides legal counsel to client throughout Pinellas, Hillsborough, Manatee, Sarasota, and Charlotte counties. If I Am Married, Do I Need A Will? Do I Have to Spend All My Savings to Qualify for Medicaid in a Nursing Home or Assisted Living Facility? How Well Can I Protect My Assets From Litigation? Blackburn Law Firm, PLLC, maintains its principal office in St. Petersburg and a satellite office in Sarasota. Catherine E. Blackburn, Esquire, works efficiently and hard to provide you the best, personalized legal service.